If you've been looking for a Waterford Full Cheek Bit you came to the right place. This specific model of Waterford Bit happens to be one of our best sellers due the it's impeccable craftsmanship and affordable pricing. 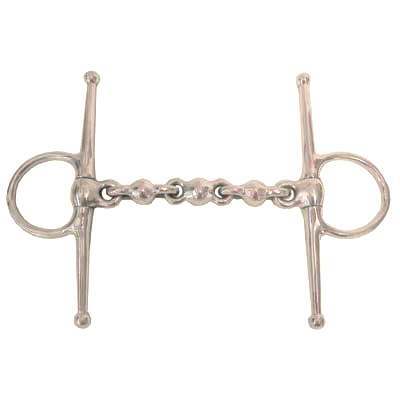 This Waterford Bit also gives lateral control and measures 1 3/4'' rings, 11mm mouth and 6 1/2'' cheeks. These Waterford Full Cheek Bits are also made of top quality materials that will last a lifetime. So get yourself a nice set of Waterford Horse Bits today. When buying from us you can rest assured you will be purchasing a great product.